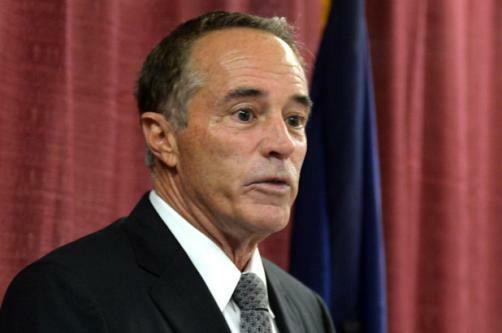 Indicted republican congressman Chris Collins has performed a U-turn since his arrest on Wednesday under allegations of insider trading, confirming he would be terminating his bid for re-election to the US House of Representatives. Collins was indicted, alongside his son and one other, on the accusation that he passed on insider trading information relating to Australian biotech Innate Therapeutics to family members in order to profit and avoid losses through illicit trade in 2017. “Democrats are laser focused on taking back the House, electing Nancy Pelosi Speaker and then launching into impeachment proceedings against President Trump. They would like nothing more than to elect an ‘Impeach Trump’ Democrat in this District, which is something that neither our country or my party can afford. “After extensive discussions with my family and my friends over the last few days, I have decided that it is in the best interests of the constituents of NY-27, the Republican Party and President Trump’s agenda for me to suspend my campaign for re-election to Congress. “I will fill out the remaining few months of my term to assure that our community maintains its vote in Congress to support President Trump’s agenda to create jobs, eliminate regulations, reduce the size of government, address immigration and lower taxes. It is unknown whether Collins’ name can be removed from the ballot at this stage, or if the Republican Party can nominate another candidate for his seat.